"Pure nerves." Sra. Flora crumbled a soda cracker in her hands. It was the afternoon of Easter 2004 in La Pincoya. She had invited me to help her prepare an elaborate Easter lunch for her extended family. But the festive plans had abruptly dissolved with the news that her partner, Rodrigo, had lost his job in a textile factory where he had worked for the past twenty-five years. Instead, bites of homemade bread and sips of sugared tea mingled with stifled conversation. Sra. Flora, Rodrigo, tío Ricardo, and Sra. Flora's daughters and grandchildren lived together in a two-story house that was a process of autoconstruction. First-floor brick rooms joined others of corrugated iron insulated with drywall. Above them, wood beams and iron sheets made a second floor. Outside, a gate of blue-painted iron bars and sheeting bounded the front patio. As part of the toma (land seizure) of 1970 that gave rise to La Pincoya, Sra. Flora and her former husband arrived on this plot of land with little more than a tent. They first built their home with materia scavenged from construction sites. After her separation from her husband in the late 1970s, Sra. Flora and her new partner, Rodrigo, continued to build and furnish the home through bank loans and department store credit. Her daughters Carmen and Sonia, both single and in their midthirties lived on the second floor, each with two children. Separated by a thin wall was tío Ricardo's small room. On the first floor, Sra. Flora's twenty-five-year-old daughter, Valentina, shared a room with twenty-four-year-old Margarita, an adopted niece with cerebral pay. And in a room abutting that of Sra. Flora and Rodrigo, her thirty-year-old daughter, Florcita, lived with her partner, Kevin, and their two children. Chile is widely known as the first experiment in neoliberalism in Latin America, carried out and made possible through state violence. Since the beginning of the transition in 1990, the state has pursued a national project of reconciliation construed as debts owed to the population. The state owed a “social debt” to the poor accrued through inequalities generated by economic liberalization, while society owed a “moral debt” to the victims of human rights violations. Life in Debt invites us into lives and world of a poor urban neighborhood in Santiago. Tracing relations and lives between 1999 and 2010, Clara Han explores how the moral and political subjects imagined and asserted by poverty and mental health policies and reparations for human rights violations are refracted through relational modes and their boundaries. Attending to intimate scenes and neighborhood life, Han reveals the force of relations in the making of selves in a world in which unstable work patterns, illness, and pervasive economic indebtedness are aspects of everyday life. 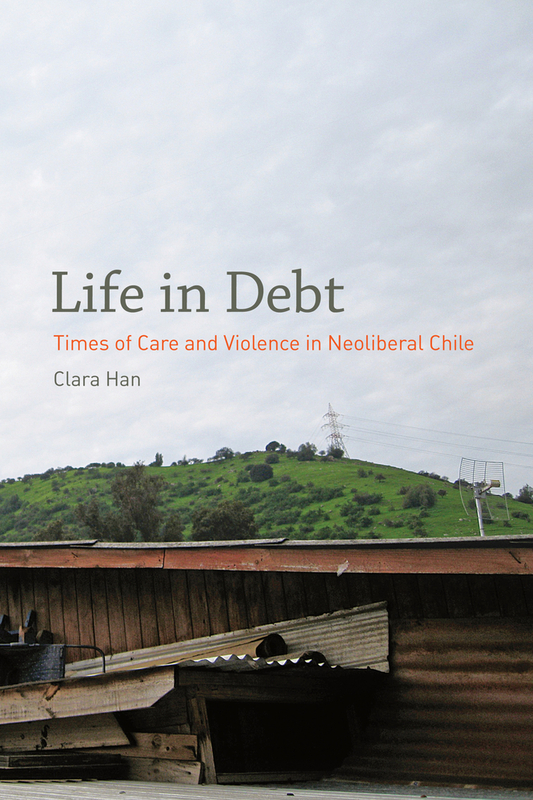 Lucidly written, Life in Debt provides a unique meditation on both the past inhabiting actual life conditions but also on the difficulties of obligation and achievements of responsiveness. Clara Han is Assistant Professor of Anthropology at Johns Hopkins University. “In this highly sophisticated take on the ironies of neoliberal social reforms, the corporate sector, consumer culture, and chronic underemployment, nothing can be read literally. 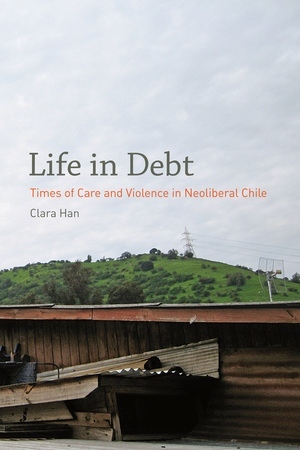 Han transforms underclass urban ethnography in Latin America by bringing readers directly into the intimate flow of relationships, experiences, and emotions in family life on the margins of Santiago, Chile." -Kay Warren, Director, Pembroke Center, Brown University.